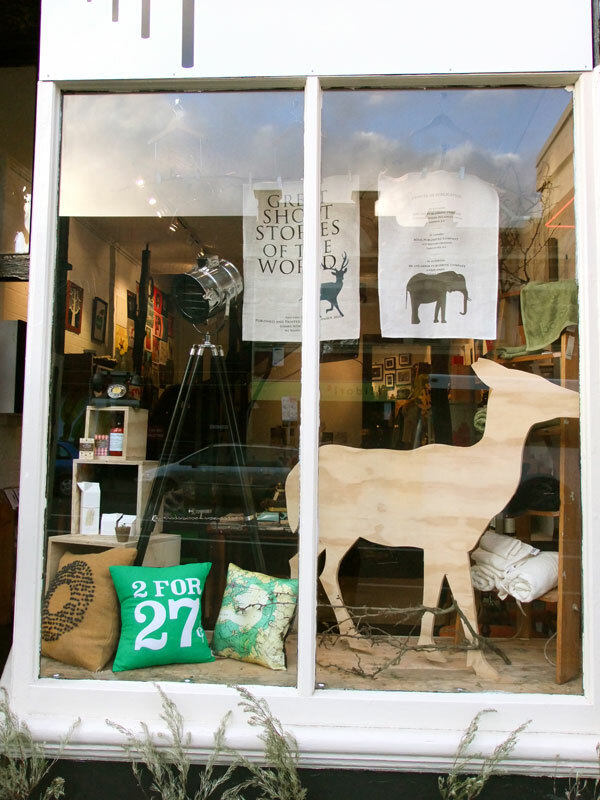 FK chats to Bek from Hobart based Eco friendly shop, The Nook. It is a small little shop located in Elizabeth Street, North Hobart. 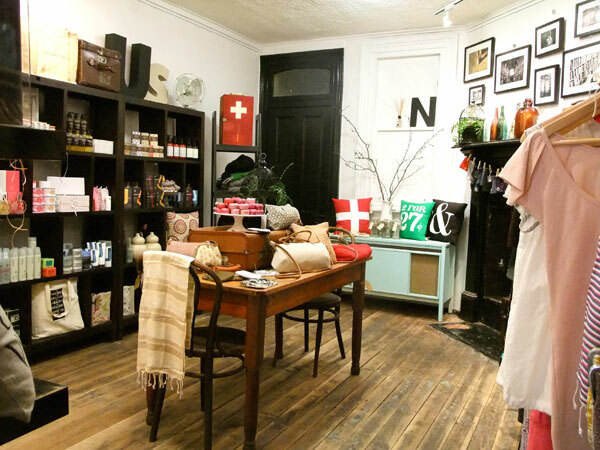 I really saw a need for a shop that sourced local, ethical and sustainable products that were modern, stylish and fun. There is such a stereotype around organic and ethical products, that they have a certain look and feel, but these days this doesn’t have to be the case! Most people purchase products from The Nook without even knowing that they are making an ethical or sustainable choice. I opened The Nook in early April 2011 in North Hobart. Ever since I was a little girl – back in my bedroom making cash registers out of weet-bix boxes and serving “customers”, I have wanted to run my own boutique. I am quite a creative person and found working for other people often left me feeling quite crushed and uninspired. It wasn’t until I moved to Tasmania from Canberra in 2007 that I found my true inspiration and direction for my shop. What kind of treats and treasures can we expect to find at The Nook? I love the feeling of walking into a space and feeling inspired and pleasantly surprised. So I have really tried to recreate that feeling within the shop. 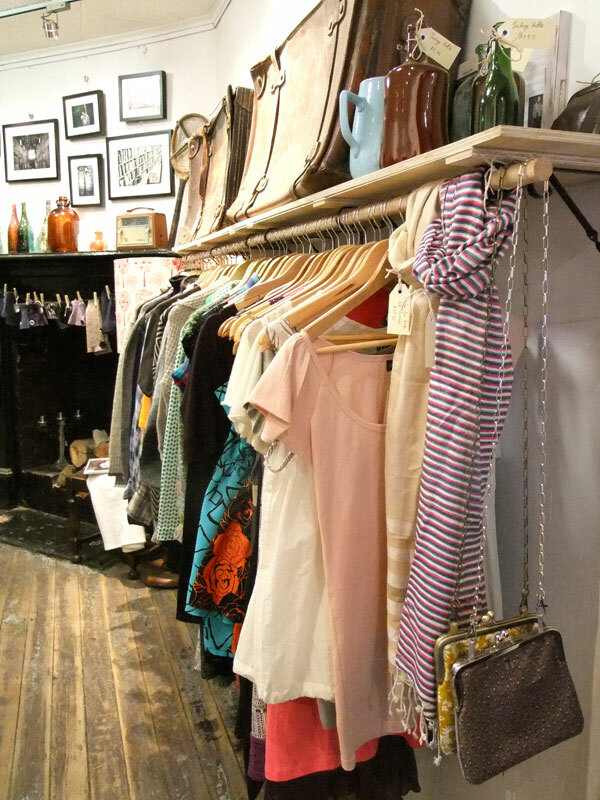 I stock fair trade clothes by gorgeous UK brand Komodo, but then I also stock vintage dresses and jackets mixed amongst the racks. I have a range of natural skincare and cleaning products, sustainable & local jewellery, old books, cushions, candles, anything that is a bit quirky and different is right up my ally. The freedom!! Being able to express myself and my style on a daily basis. There is no one to tell me to stop talking, or that I have put something where they don’t like it. Its my creative zone. 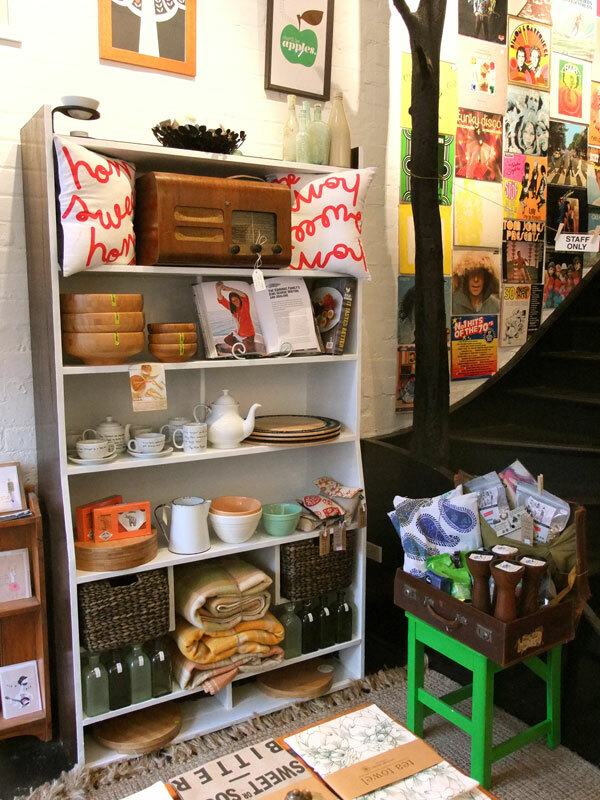 I have lovingly hand picked all the stock and have spend many a happy hour foraging at op-shops for vintage treasures. I love all my customers and especially love having a good yarn with them. I also get to bring my gorgeous puppy in with my every day – shes great company and a crowd pleaser. I think its been opening up a shop that constantly inspires and introduces people to products they haven’t seen before. People have been giving me lots of great feedback on the shop, and saying they wish there were more like it. To me success isn’t monetary (although that does help!) its more seeing the joy on peoples faces when they discover The Nook for the first time. I know I have succeeded then. When you are not in your shop, what are you usually doing in Hobart? I’m always in the shop! But on the rare occasion that I’m not, I’m usually at a resource (tip or op) shop, the beach with my dog and husband Travis, or at Church with my family. We are also currently renovating our house, so once the weather warms up again, we will be spending more time there, slaving away. What inspires you about your surroundings and what other aspects about Tasmania do you love? The people around me constantly inspire me. I love talking to people who are passionate about the same things I am and bouncing ideas off them. I often feel quite humbled and realise I have a lot to learn, which is good. Tasmania as a place is very inspirational, as we seem to have a large contingency of artists and creative folk. Every second person who comes into the shop seems to create something in their spare time! Its hard not to be inspired in a place as beautiful as Tasmania though, so its very understandable. What challenges have you faced running and setting up your own business? and what aspirations do you have for your new shop? Marketing has been my biggest challenge. I need to tell people I am here, and what I do, but I haven’t quite worked out who I am marketing to, and how do I let them know that I have an awesome little boutique? People who live in North Hobart still come in now not realising I am here (and I’ve been here for 5 months). People in Tasmania are also very Tassie proud and love to see Tasmanian made things, so I have also started stocking more local products. After Christmas we are launching a range of boutique vintage furniture that we have restored, recovered and breathed new life into. We feel that this will open up our market more, and hopefully bring more people through the doors! Opening on Saturdays from the 1 November 2011. 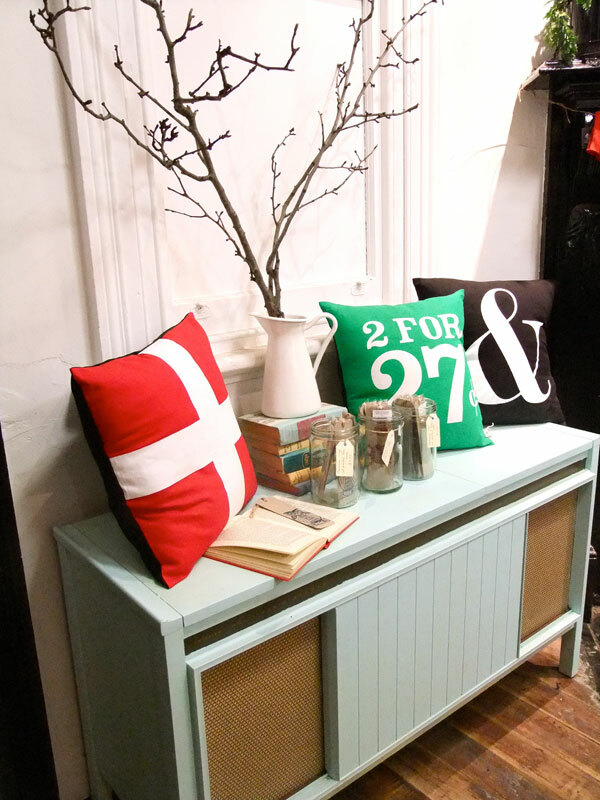 Bek, I love your shop! I would love to order some of your fabulous wares, however the website link doesn’t work. Do you sell online at all? Hi Jenny, glad to see you got home safely!! Hmm I dont have a green teapot? I have a yellow one and a big white one?